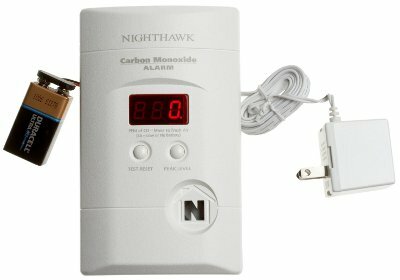 This is the summary of consumer reviews for Kidde KN-COPP-3 Nighthawk Plug-In Carbon Monoxide Alarm with Battery Backup and Digital Display. The BoolPool rating for this product is Good, with 3.90 stars, and the price range is $26.49-$47.29. This detector looks good, I suppose it works, and it's simple to use. Very pleased with item was packed well and sipped very fast easy to install and set up very pleased with it. Just install the included 9 volt battery and plug it in. If it works as well as the old ones i'll be very pleased. Replaced a pair of 6 year old CO Kidde Detectors with this updated version. It works well and has an easy-to-read display. But, it does seem to work as advertised - it always reads "O" though, either my gas powered appliances are clean burning or else it doesn't work at all. Works well and I like the fact that the screen on the front lets you know it's working. Read the other reviews and am concerned about others experiencing the unit to start beeping after a couple of months. Was recommended this product by my neighbor as I've a gas stove and gas fireplace. Will update review if it starts malfunctioning. First, one of the reviews mentions to just go to Kidde customer service if you've this problem and they'll send you one that works. This device DOESN'T WORK when plugged into the wall outlet. It also has a long wire with a plug, or a plug you can stick it directly into the power outlet with, and it runs on batteries when the power is out or you take it out of the outlet, so you've these three power options. If battery is low, it keeps beeping about this fact (and we never had a power outage). This instrument saved my life recently during a power outage. I've already replaced the batteries on both 3-4 times, and that's without any power outages in that time. Great detection device that's electrically powered in addition to a battery back-up. The unit is fine, except that it requires a fully charged battery, even when simply plugged in. After the third power outage and removing the battery a few Summers ago, we just never plugged it back in. I'm not a electrical engineer, but I've never owned an electronic device that needs two sources of power in order to work. Our first two units were the combined CO and explosive gases units which others have noted are problematic. When first plugging the unit in inside the house I'd a problem with resetting it and getting the level to read zero (with several attempts). While the unit appears to work detecting carbon monoxide, as another reviewer noted it drains batteries like no tomorrow. Within 5 minutes the detector started reading CO Gas. I replaced those two units with two units of this model, which is the same except that it now has a battery backup. Two of the three such units we bought from Amazon were current products. However, we've had the same problem with this unit (CO only). 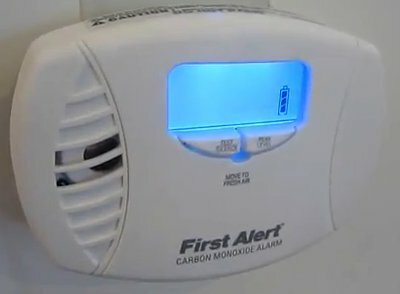 I bought two units of the predecessor model of this product in February 2005, which worked fine until the end of life seven year warning sounded in mid September 2012. There were no offers to replace the units or help in any way. Bought this one to replace the same model that hit its end of life after 7 years. After just 1.5 years displays "ERR" Customer service says it's to be replaced?!? The best CO detector money can buy. This replaced our 7 year old nighthawk. I did and, after giving them the model number and manufacture date off the back, was abruptly told by the "customer service rep" that I needed to replace the unit. Kiddie, sent me a replacement unit right away and that's been working for several years now. I replace the backup battery each spring when daylight savings time begins. They were correct because now 5.5 years later I just bought a replacement. Much like a smoke detector Carbon Monoxide detectors stop being effective after 4 or 5 years. We're trained that if a CO detector is over 7 yrs old it should be replaced, that's why I went to buy a new one for my house.